Ultimate Gloves are made from multi-layered synthetic material that actually reproduces the complex structure of leather BUT won't shrink, won't get slimy when wet, and are easy to fit on the hand, whether wet or dry. Click Here to see how to Measure your hand. 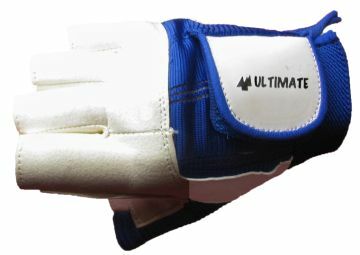 The Orignal Synthetic Leather Glove! Synthetic Nash fibres give excellent grip on synthetic ropes (Dyneema, Polyester etc) and don't get slimy in the wet! Tough but has a "Soft Feel"